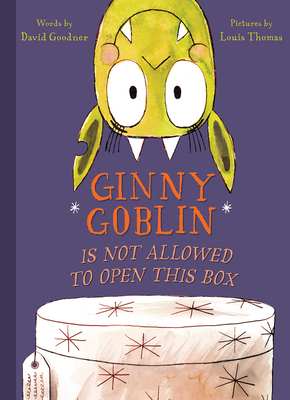 Ginny Goblin, a stubborn, problem-solving little girl, will capture your heart with her imagination and wit. While she is absolutely not allowed to open this box before dinner, nothing can stop Ginny from trying! Clever and hilarious, you will soon want to know what is in the box almost as much as Ginny. Almost. David Goodner lives in North Texas. He has an adoring wife and two tolerating cats. He works in a library where he gets to see all the new books before anybody else. When he’s not working or writing stories he likes to play role-playing games, make stuff, and read other people’s books (mostly science fiction and fantasy, but really if you leave a book out where David can find it, he’ll read it).